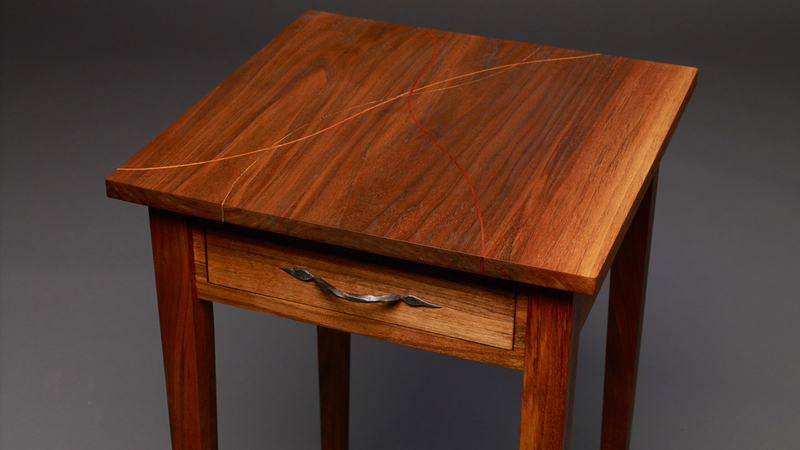 The inlaid strips of woods in this walnut table seek to marry the whimsical with the traditional. 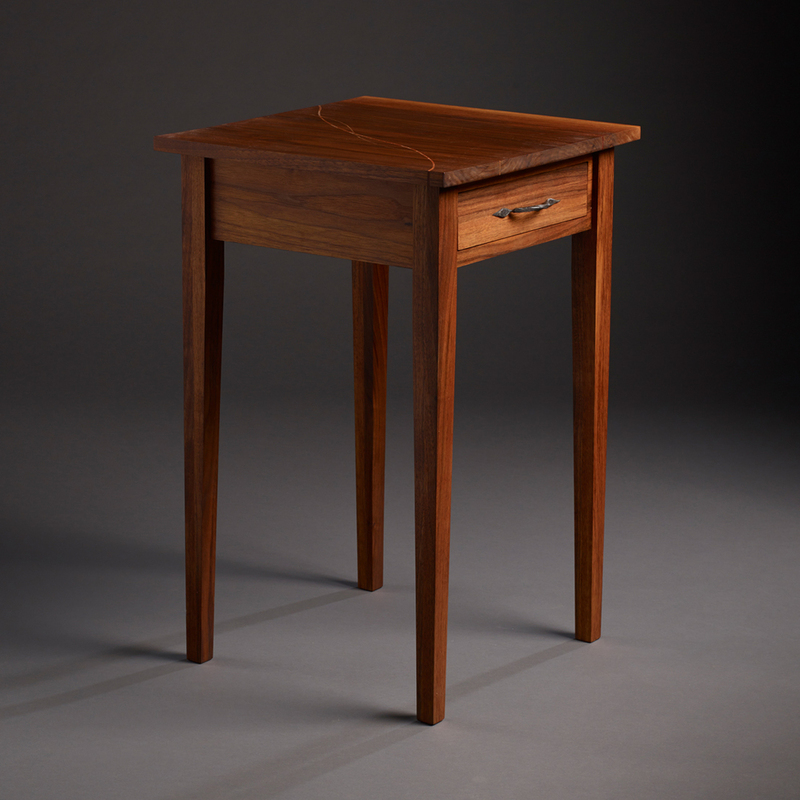 The table top and legs are walnut and the three inlaid strips are bocate, chakte viga, and chakte kok. 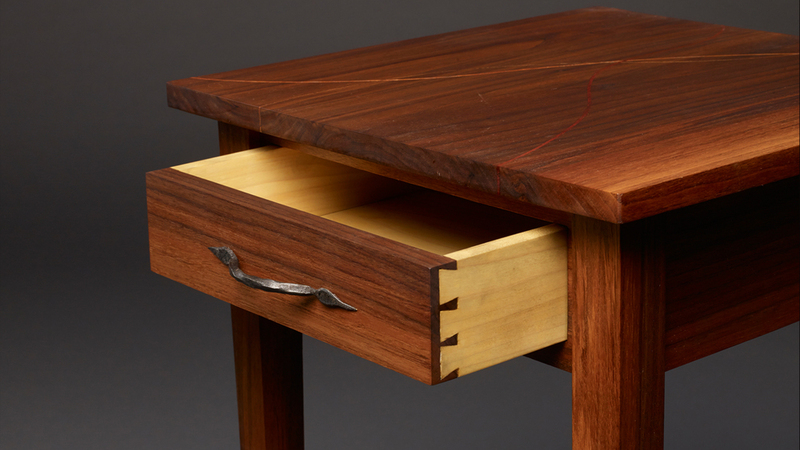 The legs are joined by hand-chiseled mortar and tenons joints and the dovetails in the drawer were made with the same chisels and no jigs. I forged the steel drawer handle and then brazed on a bolt for the connection. The table is finished with boiled linseed oil. CLICK ON THE THUMBNAILS TO SEE THE WHOLE PROCESS. . .